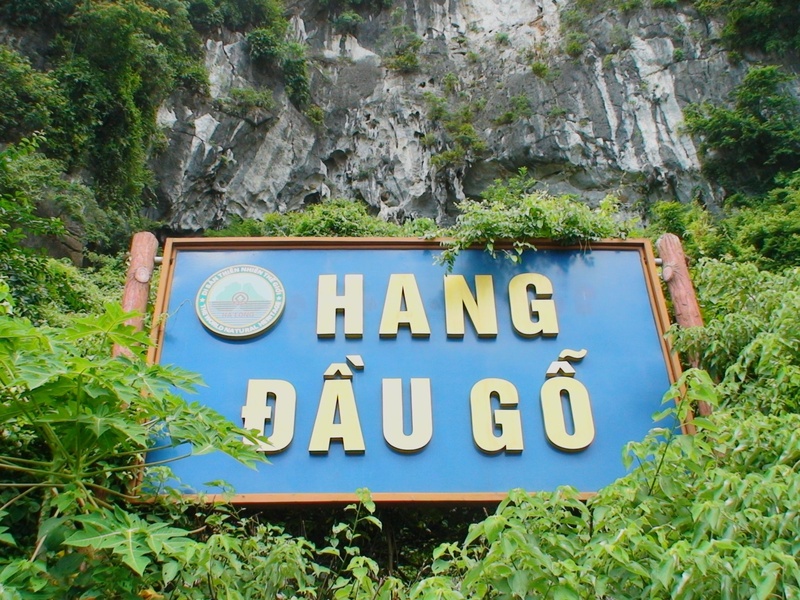 Home / Blog / How to get to Dau Go Island? Among the spectacular collection of Halong Bay’s awesome caves and grottoes, Dau Go island holds not only great geological but also historical event. Stepping inside Dau Go Island (Wooden Head Island), you will definitely find Dau Go Cave such a fascinating cave. 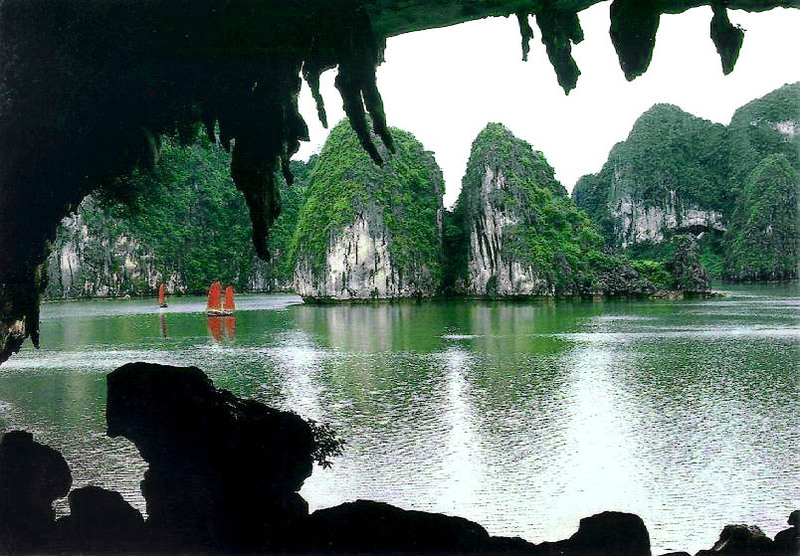 Without passing by this famous cave, hidden on Dau Go Island, no journey in Halong Bay cruise can be complete. Seen from afar, the entrance to Dau Go cave resembles a blue jellyfish. You have to climb up 90 stone steps to get into Dau Go island. Firstly, the overwhelming size of the dome, which is 25 meters, will amaze all of you. Inside the cave, an impressive scene created by hundreds of massive stalactites hanging from up high is waiting for you. Dau Go Cave has three main chambers. Receiving natural sunlight, the external chamber, whose ceiling is an enormous oil painting, manifested by the creation of Mother Nature, is the brightest one. Here, the beauty of pristine and jaw-dropping landscape with jungles of colorful stalactites and stalagmites is depicted. Their bizarre shapes, some of which are reminiscent of deer, elephants or even a lion taking a nap, evoke the wildest imagination of visitors. There is a swimming tortoise among the big ocean in another corner of the first chamber’s ceiling. Once stepping inside the extraordinary sanctuary, travelers will certainly feel like standing in the heart of an ancient and imposing palace. You will be led to the cave’s second chamber which is much darker than the first one, on a narrow path. In spite of not appearing right in front of your sight, the quaint paintings here, which loom in the backdrop, will evoke your curiosity. Going through another small path, you will get to the Dau Go Cave’s third and final chamber. At the end of the chamber is a mysterious pond with clear water waiting for you. The formation of stalagmites and stalactites here is ranked as one of the most sophisticated, reminiscences of a severe battle between brave warriors on the back of their horse and elephants. 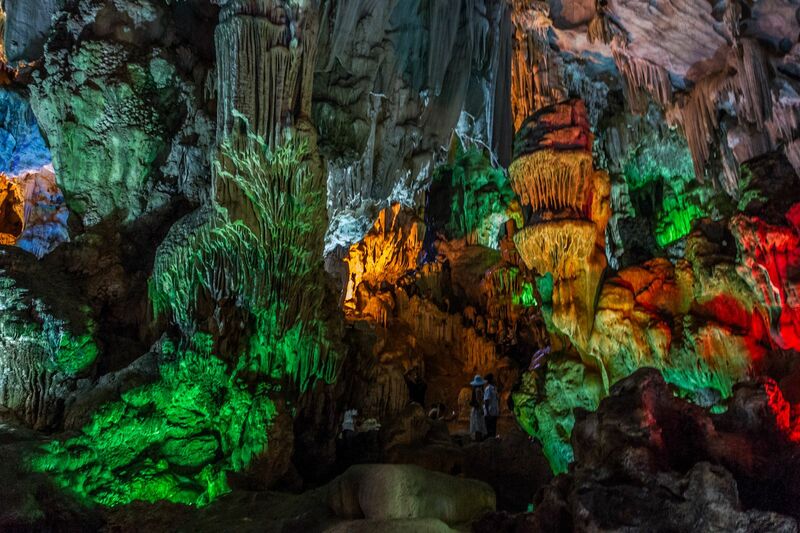 As mentioned above, thanks to its geological as well as historical value, Dau Go Cave has become one of the most popular sights in Halong Bay. Legend claimed that, in a battle against the invading Mongolian force from the north in the 13th century, the General Tran Hung Dao commissioned to put the hiding wooden stakes here before placing them in Bach Dang River to make a fierce trap. And finally, the Mongolians’ ships fell into the trap and conceded defeat. It is also the reason why Vietnamese people named the cave Dau Go, which means wooden stakes in Vietnamese. Thanks to its astonishing size, Dau Go Cave still stands out among a large number of charming caves in Halong Bay. In a list written and published by the French in 1938, Merveille du Monde (Wonders of the World), many travel experts referred Dau Go Cave to as Grotte des merveilles (The Cave of Wonders). And amazingly, that turned out to be absolutely true. How to reach Dau Go island? 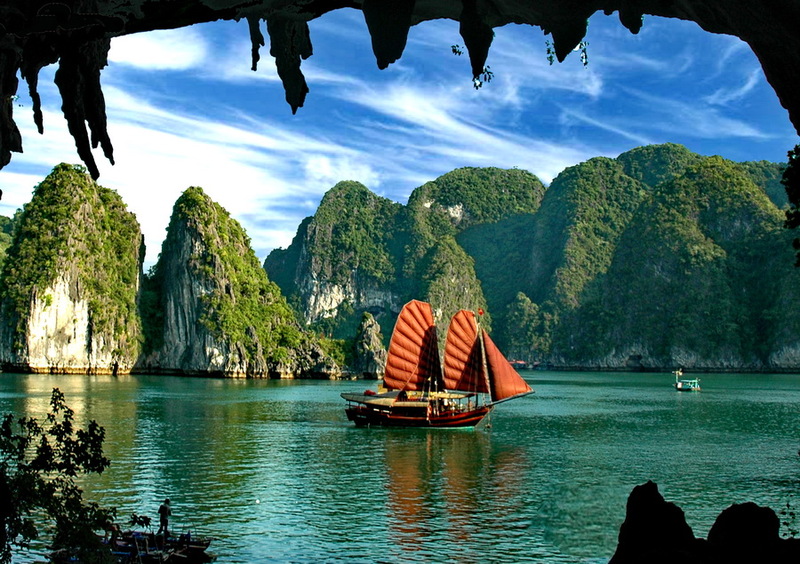 A visit to Dau Go island is always included in Halong Bay cruises’ itineraries. Therefore, if you want to discover Dau Go Cave, don’t hesitate to join one of these cruises.